A new app craze is sweeping the nation and has iPhone users asking, Pokémon who? Candy what? 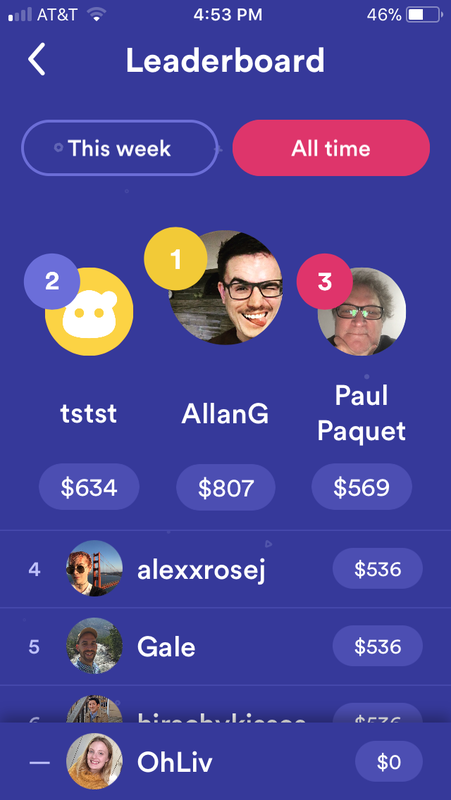 These days it’s all about HQ — Live Trivia Game Show (HQ Trivia or HQ for short), and people can’t get enough of it. Curious about the hype? Here’s how to play HQ Trivia and get in on the action. The gameplay of HQ Trivia is like a more energized Jeopardy. Players partake in daily live trivia sessions where real money is on the line. That’s right, people — you can win cold, hard cash. As stated in HQ Trivia’s App Store description, these live trivia games air every day at 9 p.m. EST and also on weekdays at 3 p.m. EST. Because these games happen in real-time, players compete with thousands of other gamers around the world. The app’s homepage tells users when the next game is happening and how much money is available to win. For example, the next 9 p.m. game is today, November 29th, and has a cash prize of $1,000. The game currently has a 4.2 rating in the App Store and was located at the very top of the “Trending” list on our App Store homepage. We decided to investigate and download the app to see what all the HQ hubbub is about. When you first download and open the app, you’ll be asked to provide and verify your phone number. Once the app knows you’re legit, you’ll create a username and then your HQ Trivia account is ready to go. You’ll also be greeted by the game’s host, Scott Rogowsky, who will ask you if you’d like to receive notifications. 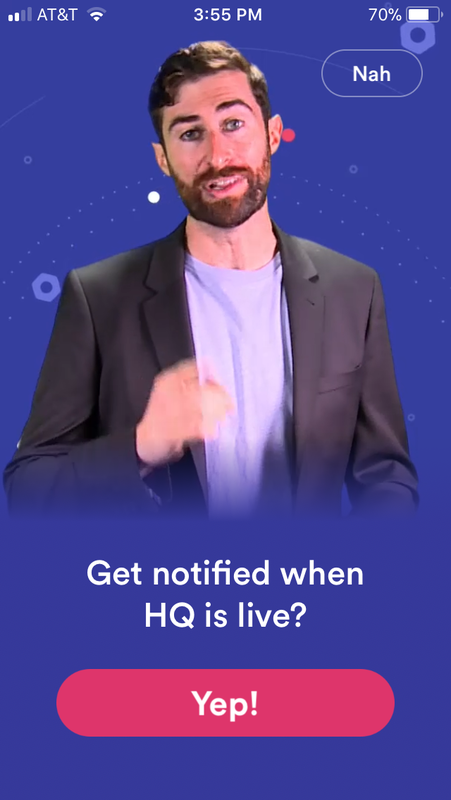 Turning on notifications for HQ Trivia is a good idea, so you don’t miss out on the live games. According to Time, each game includes a series of 12 multiple choice questions. Players have 10 seconds to answer each one, which makes cheating nearly impossible. Answering a question incorrectly or letting the time run out disqualifies you from that game. 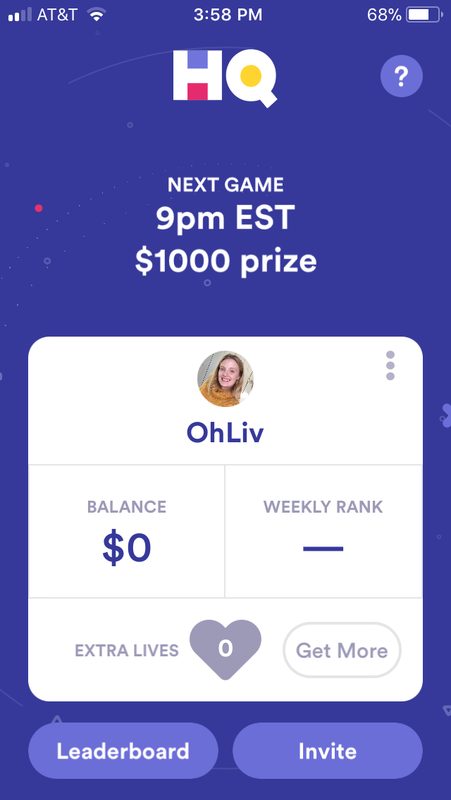 You can earn extra lives, which are use to stay in the game, by inviting friends to play HQ Trivia. Okay, we’re in. We want to be an HQ-T! HQ-tie? You get what we’re saying. If you win by answering all of the questions correctly, you’ll split the prize money, sponsored by Intermedia Labs, with the other winners. And if there aren’t any winners, then the pot rolls over into the next game. Players receive winnings via PayPal once they’ve won more than $20, Bustle reports. As of right now, the biggest winner of the game has racked up a total of $807. Hoo boy! We’ll admit — we’re intrigued by the HQ Trivia phenomenon. You can hopefully catch us on the leaderboard later tonight.